site interface is clean and lots of freeleech (they have freeleech hours). there is a scene grp “CiNEFiLE” do u guys have any connection with them ?? didn’t get any confirmation email (gmail) ?! I didn’t need the confirmation mail. Just logged in with the new account. If you like the place, it’s perhaps wise to tell this to the staff so there’s no accidental removal. If your new to Private Trackers you could do worse. Sadly, joints like IPT/TL make it extremely difficult on tiny trackers like CiNEFiLHD. Smaller trackers usually overcome this LACK of content and sheer seds per torrent by having an active Shout and/or IRC. Some smaller trackers even have exclusives but this tracker does not have any of that going for it. 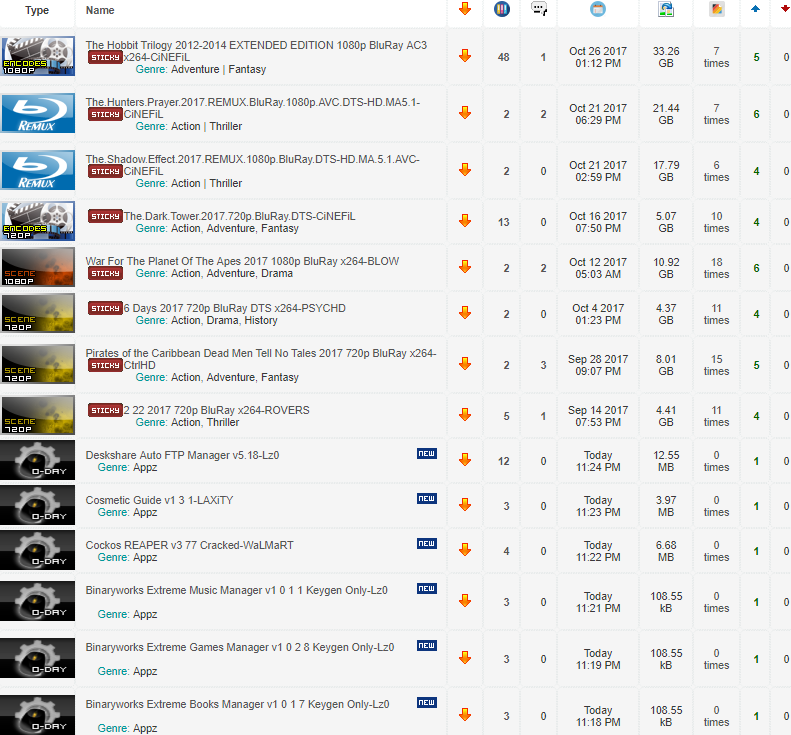 So if your looking to grab a torrent and perhaps learn to seed if your NEW to the Private Tracker World, this isn’t the worst place to get accustomed to what you need to know before moving on to an active tracker that has actually activity. Just my opinion so flame away if you must. It’s a honest review. Nice review. Agree with all your points. lol what. Their signup is not https. 3 days on that site it’s deader then the Sahara Desert. Not one single solitary person alive on that site. Why have a shout, if your not going to chat, welcome new users and perhaps garner some new users to want to return to your site. Another example of folks running a tracker that are clueless. If you don’t want to use the chat remove it. Terrible staff running this tracker…sad! 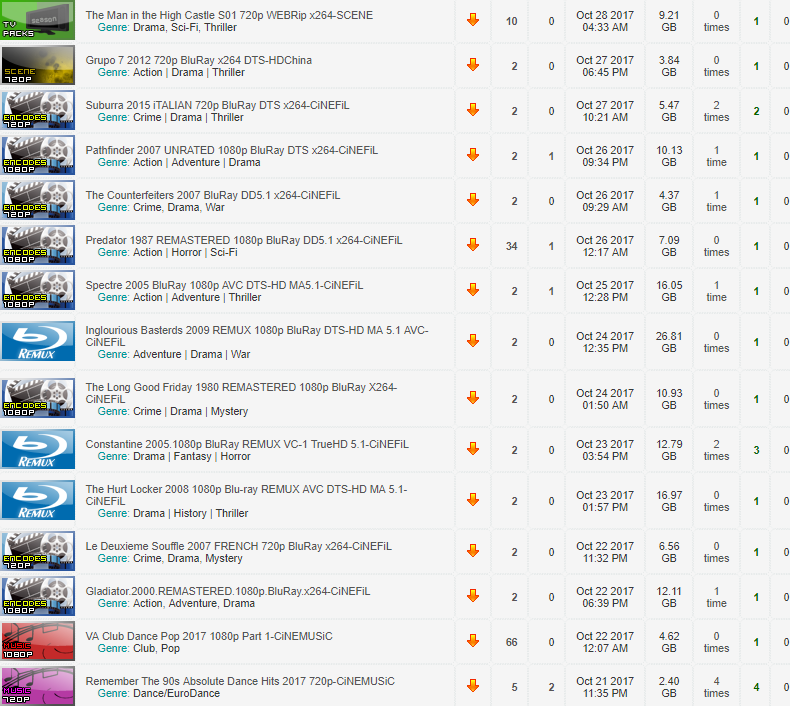 CiNEFiLHD is NOT Open for Signup! This is not related to the CiNEFiLE scene.